Guards Providing Safety and Protection for Mall Shoppers and Employees If you're an owner or property manager of a shopping center, then the safety of your clients and customers is very important to you. Shopping Centers come in all sizes from the giant regional malls to the small strip-center with only a few stores. What they all have in common is a parking lot. The most violent crimes committed in the parking lot are purse snatching, strong arm robbery, carjacking and abductions. Whether it's theft of a store, or stealing cars while customers are shopping, thieves will take whatever opportunity is given them. Excellent Services has security officers that are fully trained to combat this threat. Mall security is a top concern, and Excellent Services is ready to solve the problem. Violent criminals can blend in with the rest of us and get in close proximity fairly easily. Criminal predators can walk right by us and we will allow it because of the public setting. Mall Security has special needs that are not present in other situations. These days, having a security guard on duty is always a good strategy. 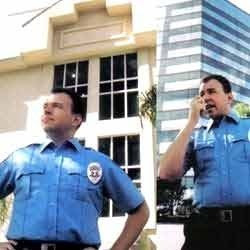 Excellent Services provides security services throughout Chennai, for both large and small shopping centers. When it comes to protecting mall shoppers and employees, and guarding against theft and burglary, Excellent Services security officers are at the top of their class.